We are proud of Webster’s Transport, Cranes and Rigging. Family owned and operated company we are specialists in transport and heavy haulage solutions. For over three decades we have serviced Australia from our Brisbane based head quarters. Our founder Greg Webster, Webster’s Transport has steered the company from onset, supported by his long term, loyal team. 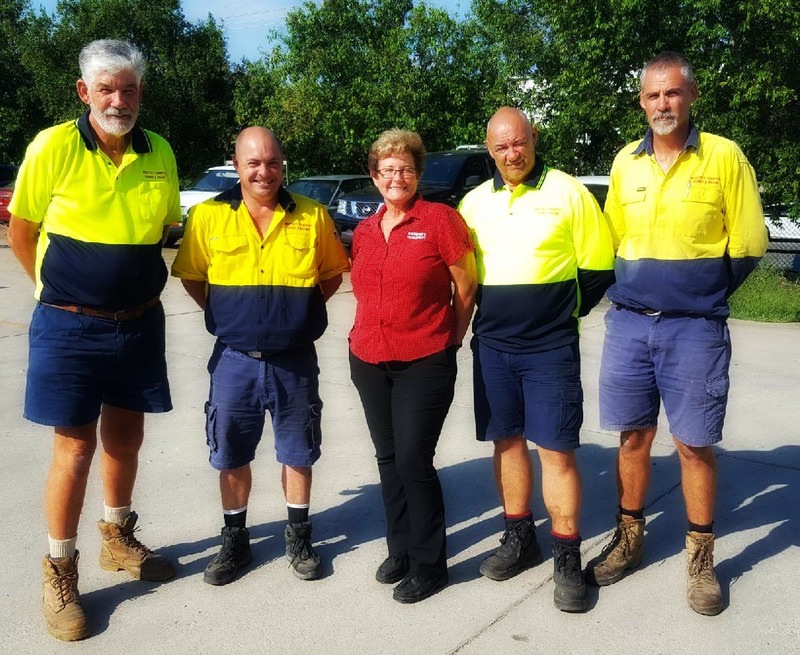 Webster’s Transport has grown in leaps and bounds, providing specialised services in transport, storage and relocation projects. With a diversity of equipment and an experienced, loyal team, Webster’s has the scope to deliver turnkey solutions of large scale. At Webster’s Transport, Cranes and Rigging, our reputation as a quality, reliable service provider is well deserved. We are committed to only the highest levels of safety, complying with industry regulations and maintaining a work environment that is safe for all involved. Complying with all statutory Workplace Health and Safety requirements with: Full insurances and Workcover policies including drug & alcohol policy and Workplace Health & Safety for all staff. Our staff receive comprehensive training and random drug and alcohol testing. In addition to our WHS Safety Manual, each Webster’s project is subject to the completion of a Job Safety Analysis (JSA) and total compliance with Australian Standards and legislation. It’s our mantra to exceed our clients expectations. At Webster’s fulfilling project requirements, on time, on budget is what we strive for. And we deliver! We love a challenge and determining solutions for the trickiest missions that our clients request. Your success is our success, it is essential that our clients receive the ultimate result when contracting Webster’s Transport. Our loyal, experienced team of professionals work cohesively with a focus on providing clients the outcome they deserve. Each and every component logistically forming part of the project. Like a jigsaw, our experience and solution focused team makes even the most challenging operation appear easy and seamless. We remain committed to providing the very best working environment for our team and investing in our team. Quality, trained staff ensures that we can best deliver to our clients, projects that are on time, incident free and beyond their expectations. State of the art equipment combined with expert industry know-how. Strict adherence to OHS & WHS. Don’t take any risks with your projects – use our trusted company and have the very best team on hand! Our turnkey services, commitment to best practice and positive working relationships has ensured our great reputation as industry leaders in our field. That’s why Australia’s leading companies choose Websters.